North East of US & Canada customers Dry Season Warning! When the heat is on in your, this cause the extreme dryness and deformation of wood floor as well as cracks of cupping. 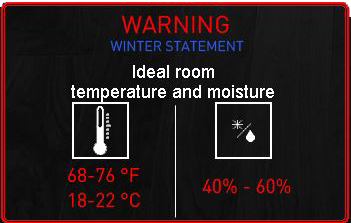 To avoid for these problems we strongly recommend a humidifier. It’s not only for your wood floors, but also your furniture, doors, kitchens cabinets even for your own health.